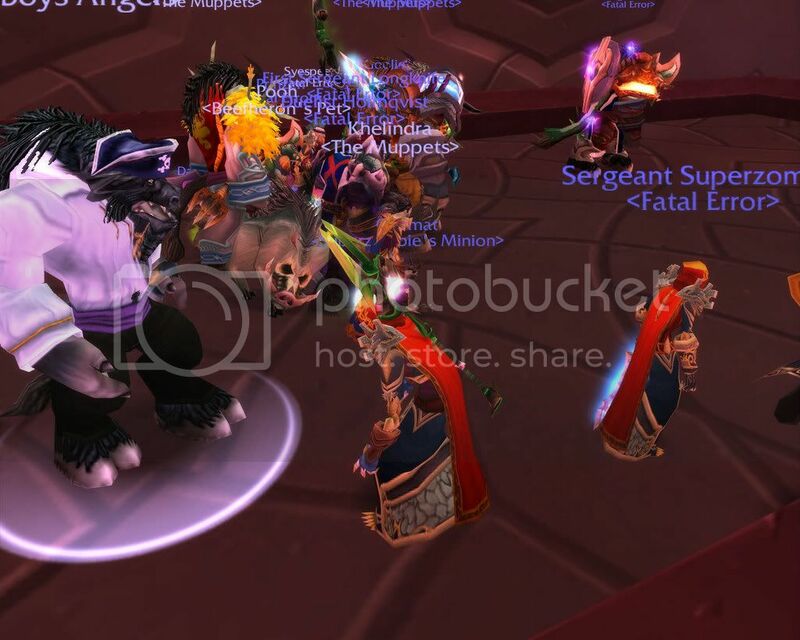 On Monday the 15th of October 2007, 25 brave warriors entered gruul's lair. But these warriors did not cower, no, because they knew that this would be the day, that gruul fell to his feet and muttered his final words. The fight started off with an intense boom, as Xaizu and Monarmi ran in and put gruul to the test, followed closely by the guys with the Big swords n' Hammers. From every angle, Bolts of frost, shadow and fire were flying at gruul, arrows and bullets slammed into his head, he tried to stop us by slamming violently on the ground, but he knew this would not work, not today. His body hit the ground, shaking the entire cave, but the 25warriors remained steady. Goodbye Gruul. 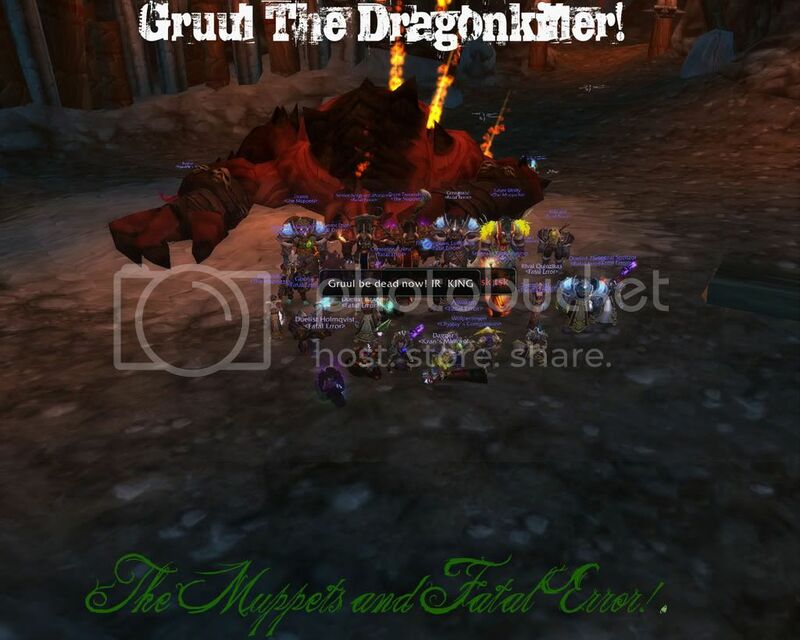 In other words, Gruul has been killed by the combined efforts of Fatal error and The Muppets! Gratz everybody, we'll see gruul again this wednesday! was the pirate real or just a figment of my imagination? Gruul the dragonkiller got shattered, he should revise his tactics! Well done guys! Evil triumphs again! I'd have been there with you, but my stupid family needed me. Location: Scotland (homeland) but in Norway! may i ask...how many of each were there??? But as i said, they had quite a few more for this one. 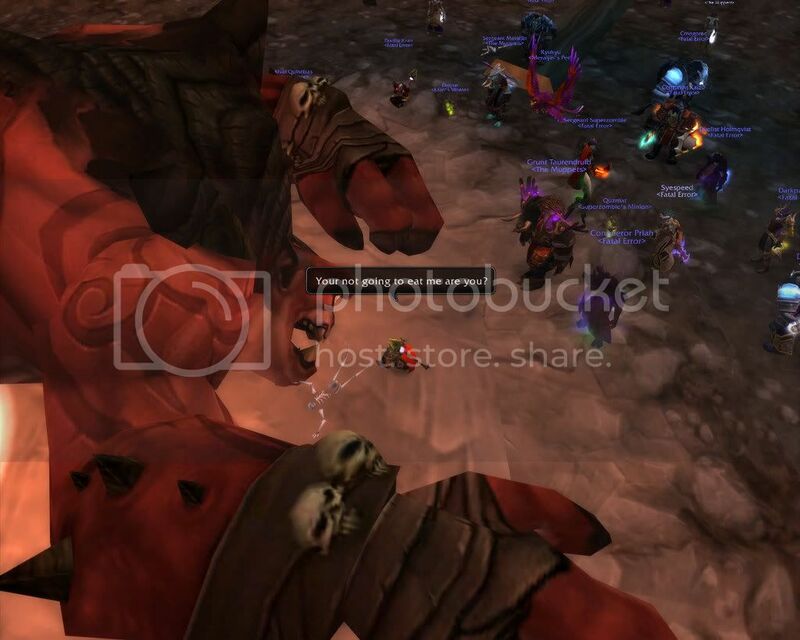 Update: 18th January 2008 Gruul down - 100% Muppet raid. Hmm. Maybe someone has a better picture for the records of Muppet heroism. Nonetheless, gz to all involved.